A stop for la café and people watching is a must-do at the quintessential Parisian sidewalk café. Photo: Property of EuroTravelogue™. Unauthorized use is prohibited. It's hard to believe another year is over and now we are standing on the threshold of a brand new year full of new opportunities and new beginnings! I can hardly wait! But before we flip the calendars to 2012, let's reflect for a moment on where we've been in 2011, an extraordinary year for me and for EuroTravelogue. What started out as a part-time hobby has grown into a second full-time job for me, however, I use "job" extremely loosely as contributing to my blog and sharing the content with all of my readers, followers and friends has become my addiction, my enjoyment; my passion runs deep. During the year, I introduced the EuroTravelogue brand and along with it, two domains: EuroTravelogue.com and EuroTravelog.com. With that, came fan pages on Facebook and Google+, and two new Twitter handles, @EuroTravelogue and @EuroTravelog to help me cast a wider net over all of you who crave EuroEuphoria, a condition I suffer from immensely! From there, I focused all of my efforts into my newly launched blog which has grown tremendously since my very first posts of two years prior. 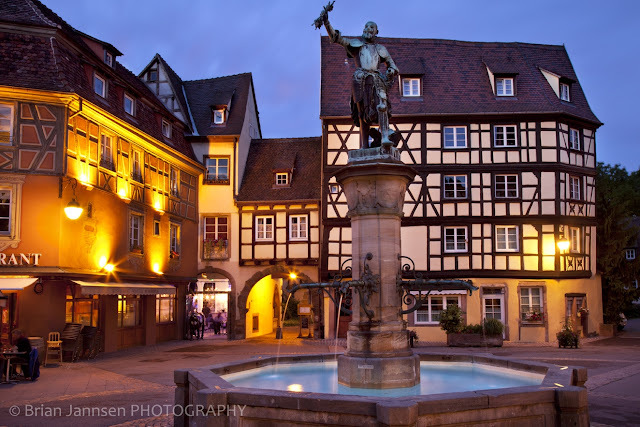 My love affair with Alsace, France began when I first laid eyes up these enchanting photos of the ubiquitous storybook villages in the Alsace region of France. Photo: ©Brian Jannsen Photography. Unauthorized use is prohibited. In addition to my own European posts and photo essays throughout the year, I was thrilled to welcome my first Guest Blogger Jessica Spielgel whose tour through Pompeii and Herculaneum continues to drive unprecedented PVs to my site, actually it holds the all-time record! Another venture I launched was my first "Partner Post," with Brian Jannsen, the master of light and lens and responsible for the photography in Guided Tour Through Alsace and Christmas in Bavaria, the latter continues to drive unprecedented visits and is currently holding steady at an all-time high of #2, overtaking my very own Temple of Castor and Pollux in the Roman Forum which will finish the year in 3rd place. I am most grateful to each of them for their kind and generous contributions to EuroTravelogue. The Uffizi Gallery in Florence houses one of Europe's finest art collections. 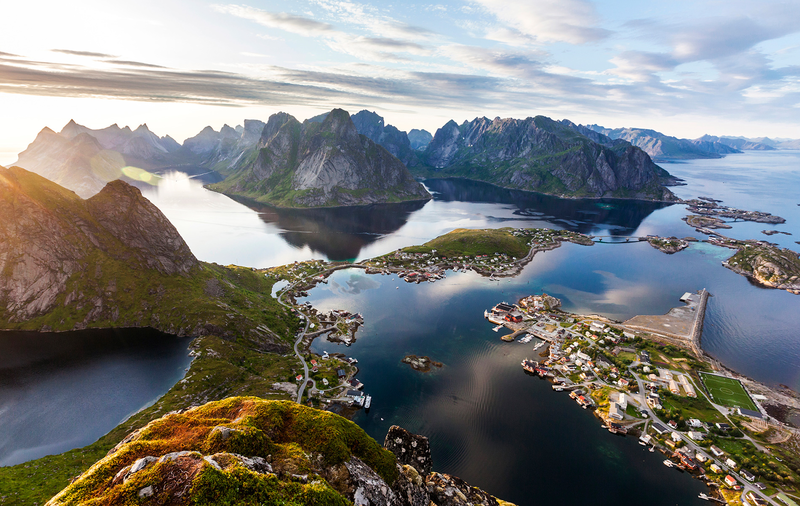 Photo: Property of EuroTravelogue™. Unauthorized use is prohibited. Another highlight of the year was my entry into the ArtSmart Roundtable, a group of art-aficionado travel bloggers who share my love of combining art and travel, and then sharing those findings with our readers so they too can appreciate art and architecture on journeys of their own. There are so many highlights I want to share with you—through pictures, and so for you my readers, I present the visual romance of some of my favorite photographs in 2011. 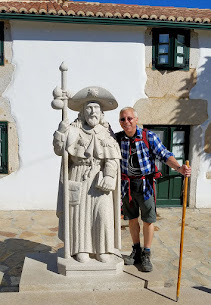 I hope you enjoy this journey through EuroTravelogue's Year in Pictures. To quote a most apropos song about remembering days gone by and looking ahead to the future, "Should old acquaintance be forgot, and never brought to mind, should old acquaintance be forgot, and old lang syne." Cheers to you and new beginnings in 2012! 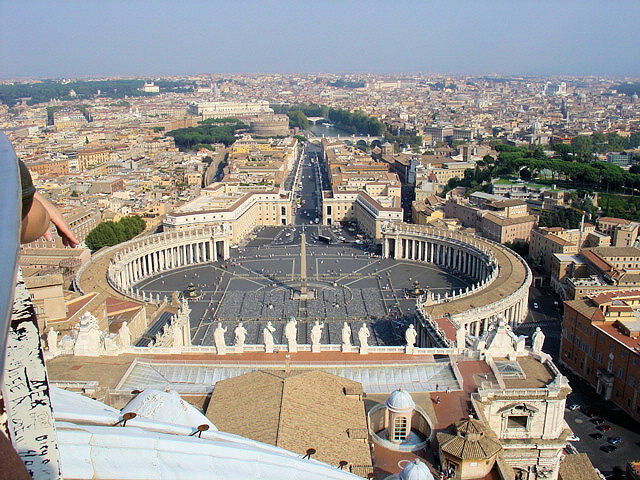 Aerial view of Bernini's Saint Peter's Square at the Vatican in Rome, Italy. Photo: Property of EuroTravelogue™. Unauthorized use is prohibited. 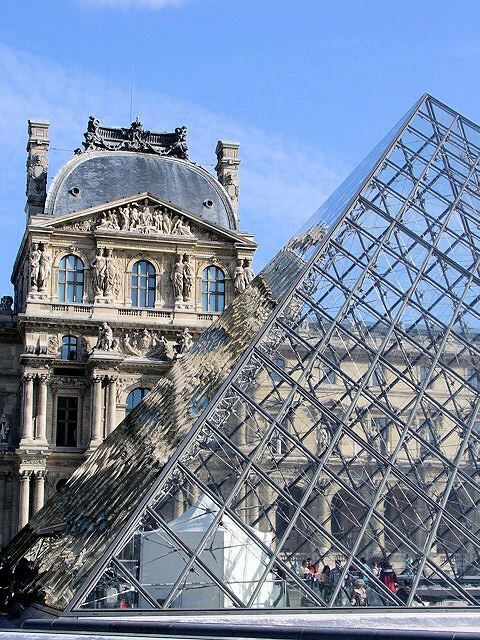 The magnificent juxtaposition of the old and new at the Museé du Louvre in Paris, France. Photo: Property of EuroTravelogue™. Unauthorized use is prohibited. Temple of Castor and Pollux in the Roman Forum in Italy. Photo: Property of EuroTravelogue™. Unauthorized use is prohibited. An enchanting cottage in the medieval village of Chartres, France. 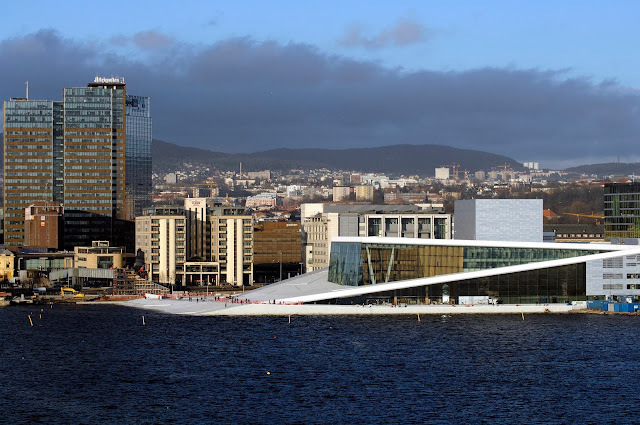 Photo: Property of EuroTravelogue™. Unauthorized use is prohibited. 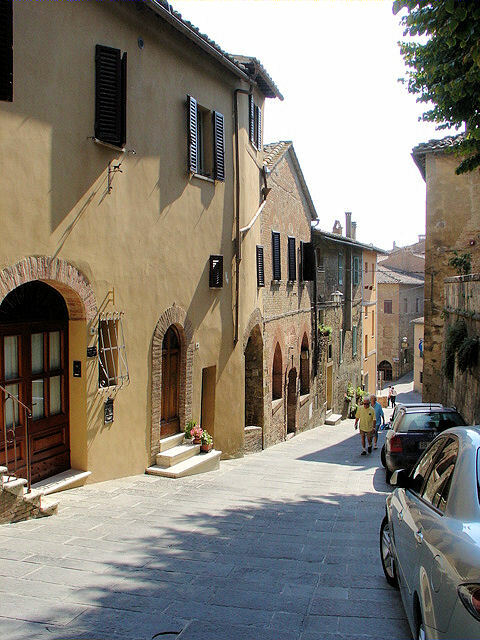 Welcome to Montepulciano—Medieval splendor perched high atop the golden hills of Tuscany. Photo: Property of EuroTravelogue™. Unauthorized use is prohibited. 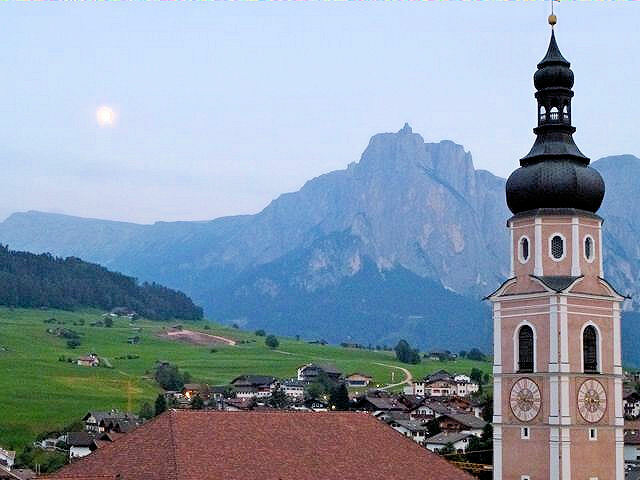 The colossal peaks of the Dolomites provide a dramatic backdrop to the alpine village of Castelrotto in northern Italy taken in this Guest Post by Gary P. Scott. Photo: Property of Gary P. Scott. Unauthorized use is prohibited. 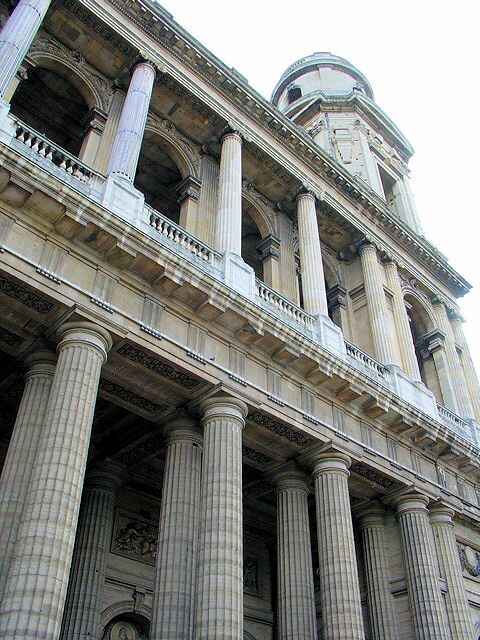 Saint Sulpice in Paris, France, just one of many European Cathedral posts throughout the year. Photo: Property of EuroTravelogue™. Unauthorized use is prohibited. Around every corner in Venice, Italy, awaits a picturesque masterpiece! See more postcards from Venice. Photo: Property of EuroTravelogue™. Unauthorized use is prohibited. 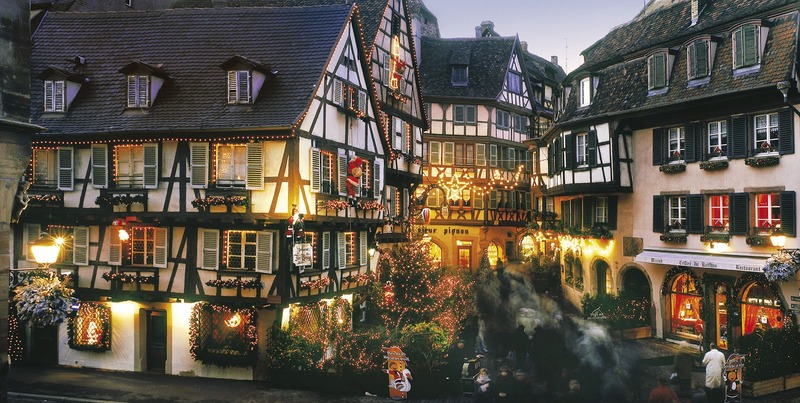 Christmas enchantment abounds along Rue des Marchands in Colmar, France in the Christmas in Alsace, France post. © CRTA - Zvardon. Unauthorized use is prohibited. 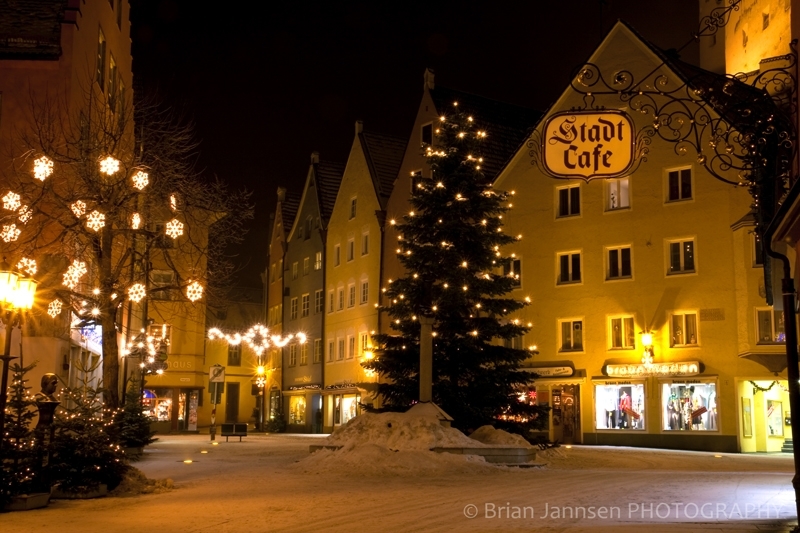 The village square in Füssen, Germany is aglow the warmth of Christmas despite the blanket of snow in this Bavarian Christmas post. ©BrianJannsen Photography. Unauthorized use is prohibited. I hope you enjoyed this journey through Europe and through 2011. May 2012 bring you joy, prosperity and peace! Hey there Ruangkota!! Thx so much for you kind words and for stopping by to leave my first comment. I too am looking forward to 2012 and all that awaits in the new year!! What an enchanting way to end the year! I feel like I have been to Europe myself this year. Thanks so much for those wonderful sentiments and for sharing your comments! I am so happy to have immersed you too in EuroEuphoria! ;) Happy New Year my friend!! Happy New Year to you, Jeff. I love your two Euro sites and look forward to more articles/photos. Thank you for stopping by and sharing your sentiments and I wish you and yours a Happy New Year!! My wish in 2012 is that one day I find out your name...at least a first, because you are so very kind and complimentary of every one of my posts. I can't tell you how much your dedication and support mean to me and I thank you for all of that and more! I wish you a year filled with peace and prosperity my friend! Beautifully inspiring, Jeff :-) Happy 2012! Thank you so much for your kind compliments and stopping by. Wishing you a spectacular 2012 as well!!! Thank you Anonymous for stopping by and sharing your thoughts! Glad you liked it. Please visit again and Happy New Year. So glad to have connected with you this year. I love your site and your passion, which I share. :) Best to you for 2012 and always. Looks like you have been busy this past year. I wish you the best going forward and heartily thank you for your support of GT this year as well. Jenna, I too am thrilled to have connected with you...we share a lot of common interests and passions like you said and I am grateful for our friendship. Thank you so much for stopping by and sharing your kind sentiments! Thank you so much Andrew for stopping by and it's my pleasure to share your insightful and sometimes humorous content with all of my followers. I am glad we've connected! Gorgeous photos, especially the first one of the Paris building and cafe by ND. Just discovered your blog and look forward to seeing more in 2012. Cheers. Hi Carolyn and thank you so much for your compliments. I too love that Paris cafe...very special and really captures the essence of the Parisian experience. And don't you worry, I have lots of great content coming up...look for post on Provence this weekend. Thank you again for stopping by as well! Happy (belated) new year! I love your site and your photos, and look forward to reading more! Wow, what can I say? I am deeply touched by your compliments and I will endeavor to keep up the momentum in 2012. Lots of great articles on the way. Thank you so much for stopping by and sharing your thoughts. Hi there Anonymous! What's with the new Marble Top? Is that your line of business? Thank you so much for your kind words and there are great things coming in 2012...including Amsterdam!! NORAD Tracks Santa Claus on Christmas Eve!